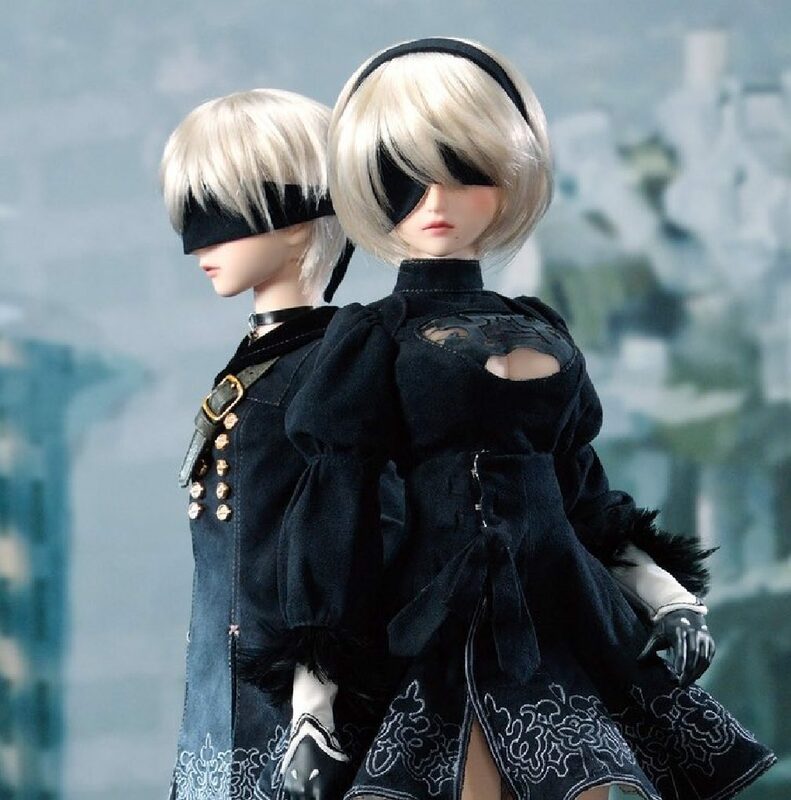 Making their rounds in the early hours this morning, Nier: Automata has lent their IP to Dollfie Dream (of Volks Inc.) in order to produce a set of dolls in the likeness of 9S and the ever popular 2B—pictures of which have since surfaced as part of a month-long run up to the announced October 20 pre-order day. From a cursory glance of the photos we’ve been blessed with, the Automata Dollfie figures appear to feature posable joints and detailed clothing and accessories like 2B’s sword. If you want to peek under the blindfold however or get exact measurements, you’ll need to get your hands on one of the special brochures that Volks is printing as part of the pre-order hype build up—the distribution of which is detailed on their website here. But seeing as how the first brochure distribution event took place at today’s NieR: Orchestra Concert, preliminary pictures and scans have already begun to surface. We’ve embedded below what looks to be a picture of the pamphlet, showing off the unmasked faces of 9S and 2B. Rumoured prices are expected to range upwards of $700 USD. As more time passes we’ll likely see some proper scans of the magazine details the figures, but until then you’ll probably want to follow Volks on Twitter to stay properly informed.